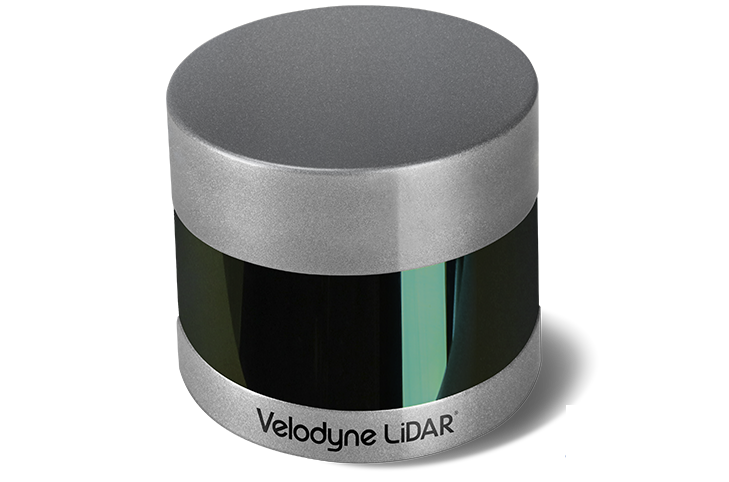 Velodyne LiDAR’s ULTRA Puck VLP-32C is an advanced sensor that combines long-range performance with 0.33 degree vertical resolution in a compact form factor. It is a high-resolution sensor developed with automotive applications in mind and it retains the innovative breakthroughs in 3D LiDAR, such as 360° surround view with real-time 3D data. The VLP-32C includes distance and calibrated reflectivity measurements at all rotational angles. With 32 channels and a range of up to 200 m, the VLP-32C generates approximately 1,200,000 points/second in dual return mode, with a 360° horizontal field of view and a 40° vertical field of view. The ULTRA Puck’s denser channel distribution on the horizon enables higher resolution at longer ranges. Operating it in dual return mode allows the capture of greater detail with 3D imagery. A compact footprint and low weight make the sensor ideal for automotive applications. It is also encapsulated in a package that allows for operation over a range of environmental conditions.